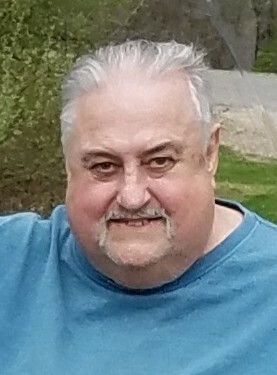 Robert D. Powers, Sr., 68 years of age, passed away Tuesday January 22, 2019 at his home. Born in Cleveland, Ohio on December 12, 1950, he was the son of the late Richard and Gertrude (Taddie) Powers. He was a graduate of Twinsburg High School. A Mantua area resident the past 40 years, Mr. Powers had been employed at Chagrin Falls Schools as a custodian where he retired after 27 years of service. An avid reader, he also enjoyed fishing and woodworking, while the most cherished memories of Mr. Powers will be those of his time with family, especially with his grandchildren who he loved as much as they loved him. On April 26, 1975, he married his beloved wife Michele (Clemson) Powers who survives at their home. He is also survived by his devoted sons Daniel (Jessica) Powers and Robert (Jessica) Powers, Jr. both of Mantua; his dear brother Edward Powers of Ravenna; and 8 loving grandchildren and 5 great-great grandchildren. Calling hours will be Friday January 25, 2019 at the Green Family Funeral Home & Crematory Service, 4668 Pioneer Trail at the corner of St. Rt. 44, Mantua, Ohio 44255 from 10:00 A.M.-11:00 A.M., where his funeral service will then begin at 11:00 A.M. Final resting place will then follow at Westlawn Cemetery, Mantua Township, Ohio.